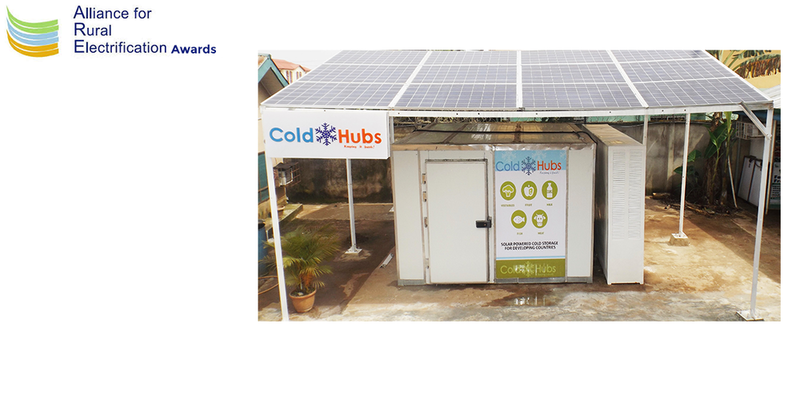 The Alliance for Rural Electrification (ARE), the only global industry association that supports all businesses along the whole value-chain of renewable solutions for rural electrification in developing and emerging countries has honored ColdHubs as the Best Start Up. The Award was presented before over 200 participants in Catania, Italy at the 4th edition of the ARE Energy Access Investment Forum organised in partnership with Renewable Energy Solutions for the Mediterranean and Africa (RES4MED&Africa) and the Africa-EU Renewable Energy Cooperation Programme (RECP). The ColdHubs team appreciate this incredible honor and recognition by ARE.